Candidates on Best Practice Network programmes get access to the highest quality development – crafted by practising professionals and CPD experts and delivered in a way that is attuned to demanding work schedules. Highly experienced facilitators – each one a practising expert in their field – work closely with candidates from start to finish. Most of our programmes offer a blended approach that mixes online learning through our award-winning virtual learning environment and face-to-face learning through our national network of school-based providers. And if getting out of school or setting is an issue candidates on some programmes can choose to learn exclusively online. 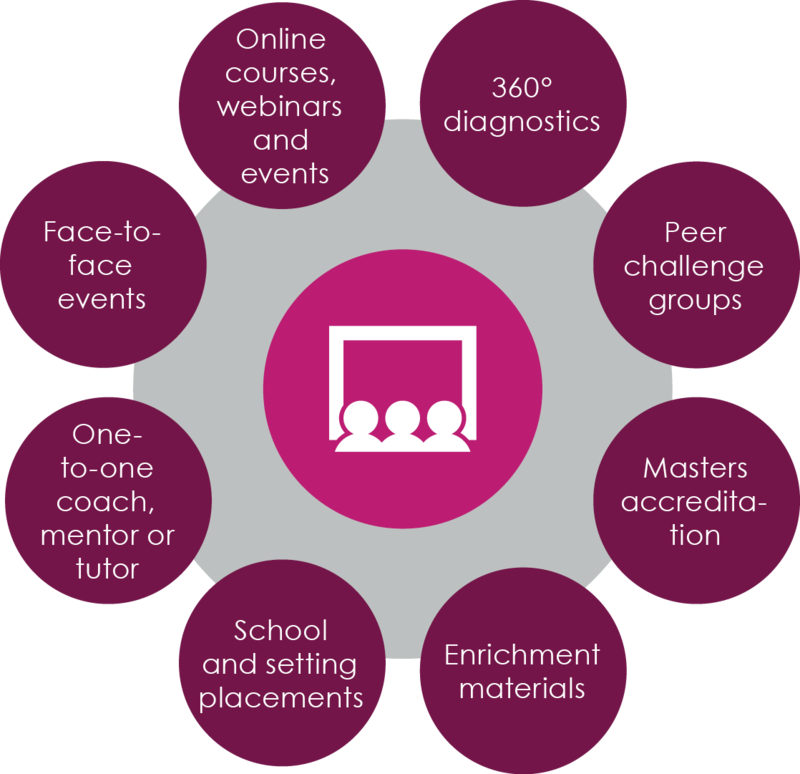 Whatever the learning approach, each candidate gets access to a dedicated learning coach, mentor or tutor, as well as regular opportunities to network and collaborate with their course colleagues. "It’s a really creative team who work with a very high degree of integrity and knowledge of the school system"